"Success of the Event depends on the attraction of the people who will come on the event." 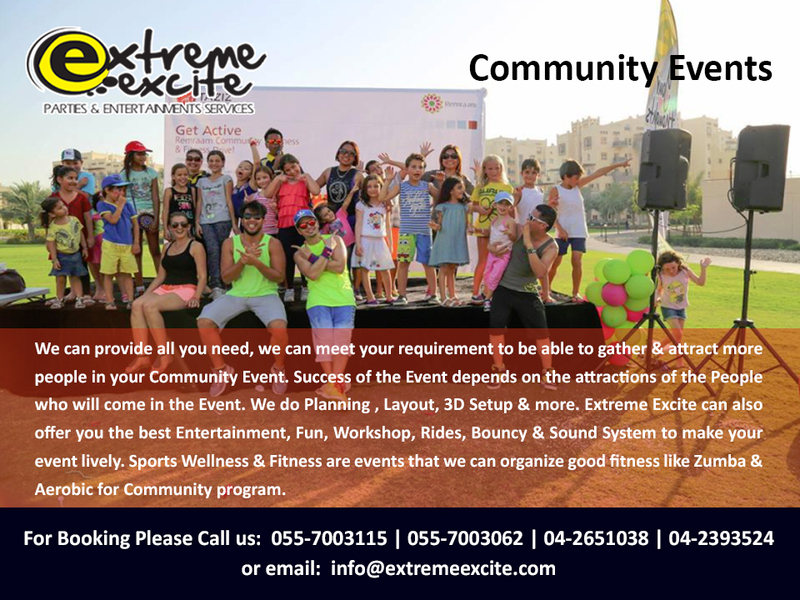 Extreme Excite can provide all you need, we can meet your requirement to be able to gather & attract more people in your Community Event. Success of the Event depends on the attractions of the People who will come in the Event. We do Planning , Layout, 3D Setup & more. 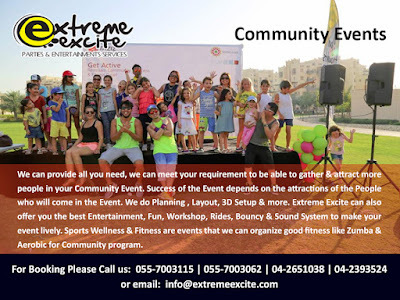 Extreme Excite can also offer you the best Entertainment, Fun, Workshop, Rides, Bouncy & Sound System to make your event lively. Sports Wellness & Fitness are events that we can organize good fitness like Zumba & Aerobic for Community program.